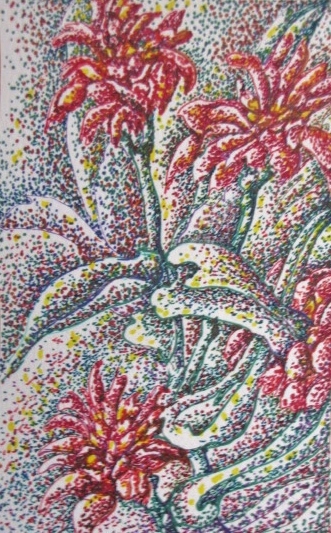 I recently posted three floral contours to be completed with the textural gradations of stippling, hatching , and scribble. Here is the first comprised of clusters of stipple marks that create dot like effects to support the contour. It is a time consuming, detail oriented endeavor, yet can also be completed in a looser more painterly manner. 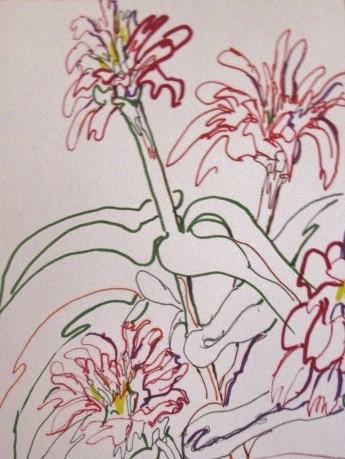 You are currently reading Floral Gradations in Stippling at Dr. Mary McNaughton and Drawing.